ImpBarn: God Bless Stewart Engineering! What would a Sunbeam owner do without Stewarts? I just got my second shipment from across the pond. I double-checked AFTER I ordered... again. 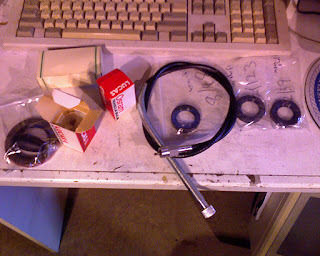 And found that I forgot to order the kickshaft seal. Grr. Aw well, I will need other things anyway. .... will I need bearings?